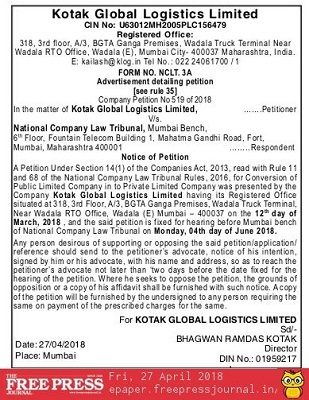 S. Ramdas Pragji Forwarders Pvt. Ltd. Your hunt for all outbound & inbound related services ends here!! No matter which part of the world you are located, we deliver your cargo to your client's doorstep. SRP has always been pioneer in adopting modern technology for improving and giving cost effective logistics for their esteemed customers. KLOG is an extended arm of SRP created specially in 1990s to cater to increasing requirements of containerized volumes. KAP was established in 1996 with its first unit at Turbhe, Navi Mumbai mainly to overcome dock-stuffing hurdles and service the increasing number of vessels at JNPT. Established in the 1920s S Ramdas Pragji (SRP) is one of oldest and reputed Custom House Agents. KLog showed up a resilient performance by weathering the recession blues in 2008 & 2009.